You may be a candidate for an innovative, non-surgical vision correction procedure that provides excellent vision during the day without wearing glasses, daytime contact lenses, or having vision correction surgery! The procedure involves being fit with a pair of specially designed contact lenses which are only worn while sleeping. They are removed in the morning, and the result is clearer vision throughout the day, equal to the vision correction provided by traditional glasses or contact lenses. The FDA approved therapeutic lenses are designed to treat nearsightedness (myopia) and/or astigmatism. This treatment option is approved for all ages, and is great for children, young adults, and those with active lifestyles who want to be glasses-free. Wearing Sunglasses – Choose from our extensive line of sunglasses, without needing prescription lenses for them. Driving – Long distance driving can be difficult with glasses or contacts, especially when faced with dry eyes. Though anyone with myopia or astigmatism is a good candidate for Ortho-K treatment, kids and young adults benefit the most because they are sometimes not good candidates for LASIK or refractive surgery. Kids who want or need to be glasses-free, such as athletes, really love Ortho-K.
Our doctors will perform an eye exam and several key tests to determine the health of your eye. After a corneal map and the size of your cornea are determined, a prescription will be written. 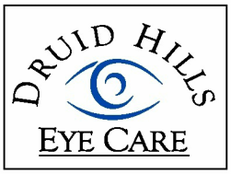 Throughout your initial fitting period, we will monitor your eye’s health and the effectiveness of the night contacts. At times, your retainer lens fit may be modified to achieve your goals. Orthokeratology can produce amazing results in a short period of time.